I had the extra butterfly left from yesterday’s card, and I couldn’t just let it sit on the craft table! This is a 4.25 inch square, and it fits into a regular A2 (4.25 x 5.5 inch) envelope. Supplies: Stamp – My Favorite Things, paper – Curious Metallic Blueprint, Home Depot paint chip, Neenah Classic Crest Solar White, Stampin’ Up! Kaleidoscope DSP (retired), ink – VersaMark, die – Hero Arts, embossing powder – Stampin’ Up! Sterling Silver. 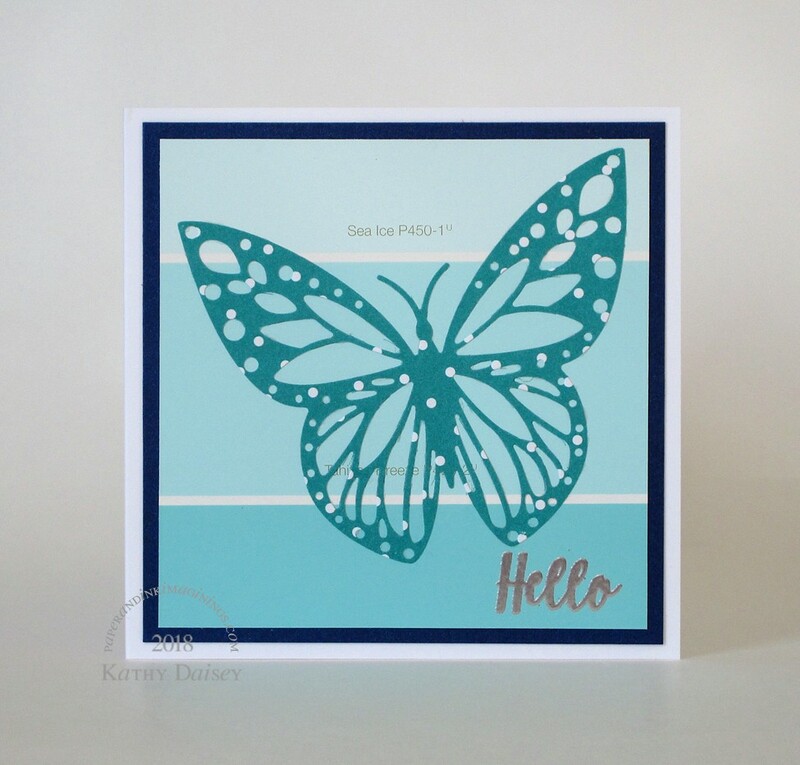 Categories: card, hello | Tags: card, Curious Metallic, Hero Arts, My Favorite Things, Neenah, paint chip, Stampin' Up!, Tsukineko, VersaMark | Permalink.